"Hi, I'm Chucky. Wanna play?" He's back for more! An official trailer has debuted for the latest Chucky doll film, titled Cult of Chucky. This is technically the seventh film in the seemingly never-ending Child's Play series, after Bride of Chucky, Seed of Chucky, and Curse of Chucky most recently. This one is also going straight-to-DVD and we're making an exception to post about it, just because it's another Chucky movie so why not. The story follows Fiona Dourif as Nina, who is in an insane asylum where she has been convinced she murdered her entire family, not Chucky. Things are getting better until the doctor brings another "Good Guys" doll in as a therapeutic tool. Also starring Jennifer Tilly, Alex Vincent, Michael Therriault, and Brad Dourif as the voice of Chucky. This looks like more of the same from the others, but what do I know. Confined to an asylum for the criminally insane for the past four years, Nica Pierce (Fiona Dourif) is erroneously convinced that she, not Chucky, murdered her entire family. But when her psychiatrist introduces a new therapeutic "tool" to facilitate his patients' group sessions -- an all-too-familiar "Good Guy" doll with an innocently smiling face -- a string of grisly deaths begins to plague the asylum, and Nica starts to wonder if maybe she isn’t crazy after all. Andy Barclay (Alex Vincent), Chucky's now-grown-up nemesis from the original Child's Play, races to Nica’s aid. But to save her he'll have to get past Tiffany (Jennifer Tilly), Chucky’s long-ago bride, who will do anything, no matter how deadly or depraved, to help her beloved devil doll. 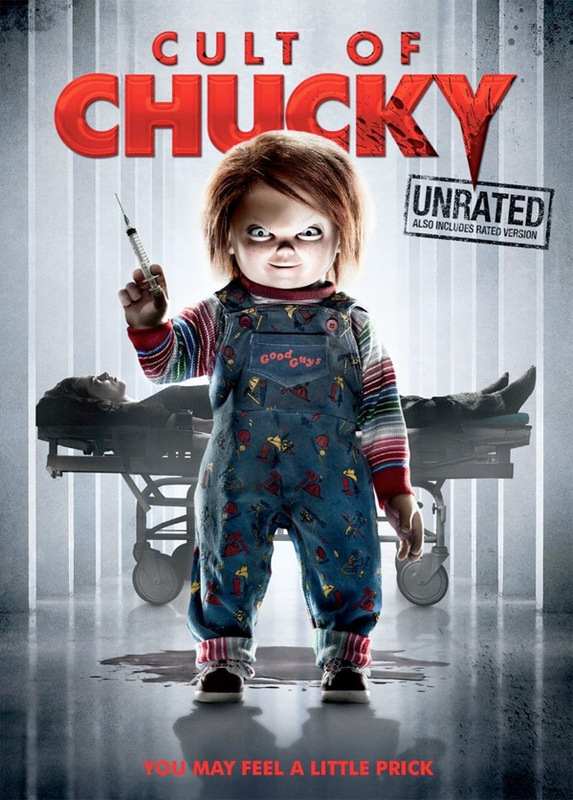 Cult of Chucky is written and directed by filmmaker Don Mancini, director of Seed of Chucky and Curse of Chucky previously, and the screenwriter on all the original Chucky films. Don Mancini's Cult of Chucky arrives directly on Blu-ray + VOD starting October 3rd later this fall. Anyone?